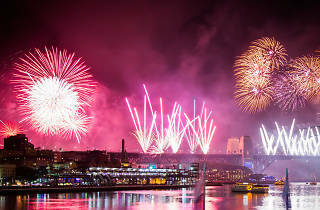 When it comes to finding a luxe way to celebrate New Year's Eve there is no buzzier spot than Hacienda Sydney. The fresh Cuban-inspired cocktail lounge – which is located right above Circular Quay – will be hosting a night to remember, with stunning views, Champagne and more. You'll receive a glass of Veuve Clicquot Champagne on arrival, before enjoying a series of Cuban-inspired canapés, which will be inspired by Hacienda's menu, which features the likes of tuna ceviche with avocado, black sesame and blue corn tortilla; smoked fried wings with hot sauce and pickled cabbage salad; sugarcane prawn skewers with coconut and saffron aioli and harissa lamb rolls with chipotle lime yoghurt. You'll also get to enjoy free flowing wine, beer and sparkling, and there will be $15 cocktail specials. 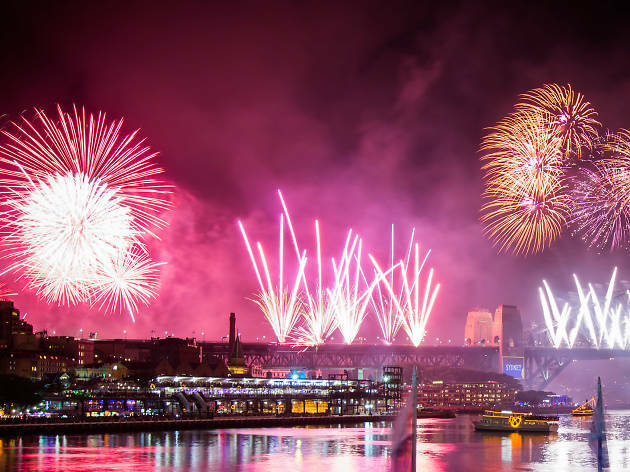 The bar also features floor-to-celing windows, which offer unrivalled views of the Sydney Harbour Bridge, and of course its spectacular fireworks display. So start planning your New Year's Eve and book in for your chance to enjoy an elegant soiree that's sure to kick off 2019 in style.